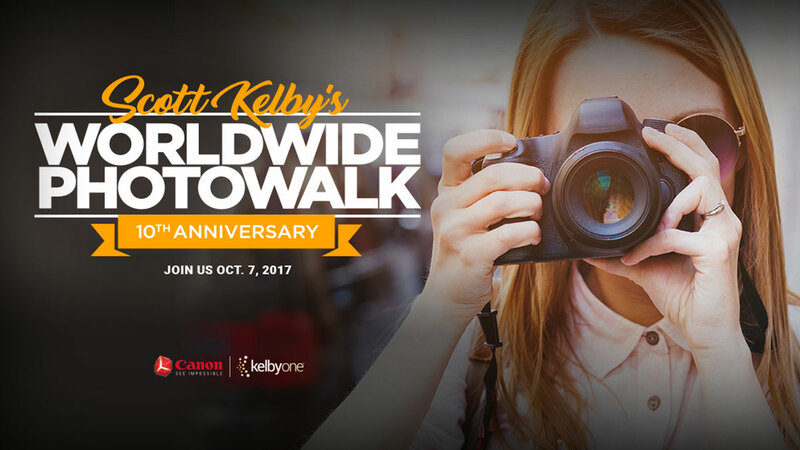 For the tenth straight year, Scott Kelby is gearing up to host his annual Worldwide Photowalk. This Saturday, October 7, photographers from across the globe will gather to walk the town and photograph! Photographers and enthusiasts alike will then submit their best work to be entered into a contest to win some amazing prizes — including a Canon EOS M5 kit, Pixma Pro 10, B&H gift certificate, Drobo, Platypod kit and more. Plus, this year, members of the Worldwide Photowalk will be donating to the Springs of Hope Kenya Children’s Home. Having led a photowalk group for the past few years, I always look forward to this weekend. It’s by far our busiest photowalk every year, and it draws in people from all over my area. For the third year, we’ll be going around ArtPrize — the world’s largest public art competition — in Grand Rapids, Mich.
You might not have a huge art festival in your backyard, but that doesn’t mean you can’t go walking around town. Find a walk near you today, register and get out and shoot with the 19,000-plus photographers who will be walking all over the world. On photowalks, I like to think a bit outside the box. This year, I’ll be limiting myself to just one lens — my Panasonic Leica 42.5mm f/1.2 lens. It’s been my go-to lens for checking out ArtPrize, as it has beautiful sharpness and depth of field that really makes the artwork pop. Regardless of your lens choice, think of how you want to photograph during your walk. It might be that you want to focus on up-close details, creating macro-like shots. You might want to play around with creative and different angles. 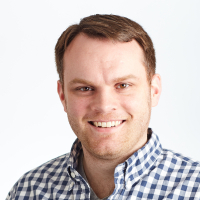 Or you might want to shoot in black and white, saving any color for when you bring your photos into Lightroom. You could also create your own scavenger hunt, brainstorming about a topic that would be a good fit for your walk. If you’re a photowalk leader, check out my tips on how to plan a great photowalk this weekend. Scott Kelby and the team at KelbyOne has put together this brief video about this year’s walk. To sign up and learn more, visit worldwidephotowalk.com.